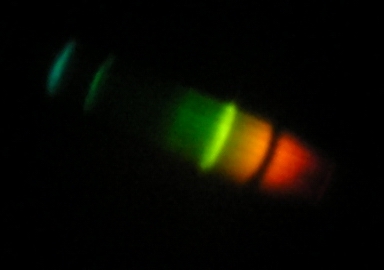 A home-made spectroscope helps to realize that different sources of light do not shine in the same way. 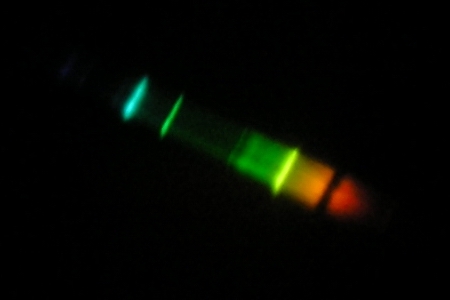 A spectroscope decomposes light that comes to you into components in a form of spectrum with use of diffraction grating. 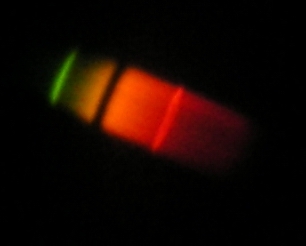 An example of spectrum can be seen below. 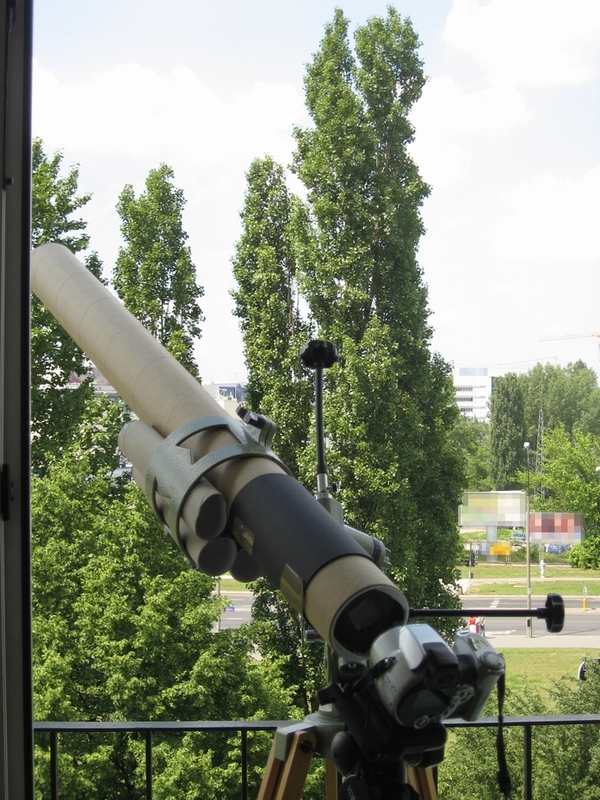 You can build your spectroscope in two versions: the basic one, which can be constructed from elements around you and the "lux" one, which is also easy to make, yet requires custom-made elements. - "lux" version: you can use a long cardboard tube used for carrying papers. 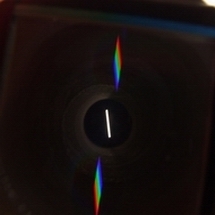 In general, the longer is the tube, the better is the angular resolution of the spectroscope, but also the more light has to fall on the slit i.e. one has to look at brighter sources. 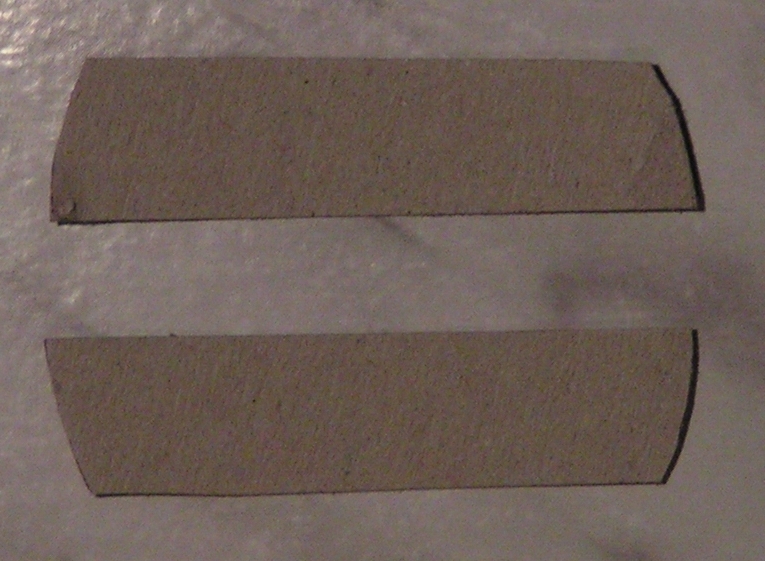 Apart from that you will need opaque adhesive tape (I used insulating tape). 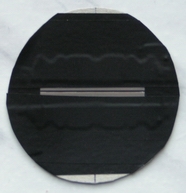 It is comfortable to use two-side adhesive tape in order to make a slit, though it is not absolutely necessary. 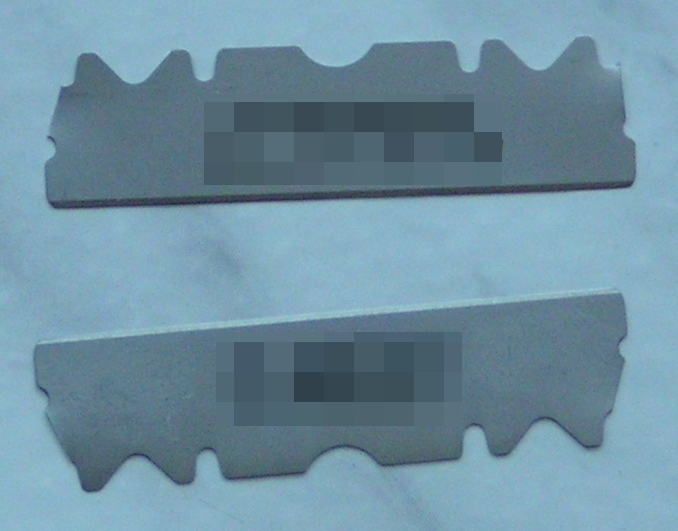 - in the "lux" version : from unused razor blade (pay attention to safety of children!). - basic version: we made a real discovery here. 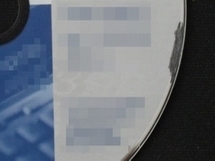 A good diffraction grading can be made from plastic disks, often used to protect the last, bottom CD in CD bundles that are bought in shops. We are talking about bulk packs of CDs, which are available in supermarkets. 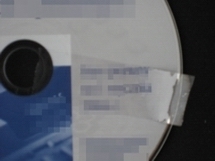 Warning: some CD packs do not contain such additional protection disks, and not all of them are suitable. A proper protection disk shall have a rainbow glitter, when we look at it against the light. So you must watch what you buy. 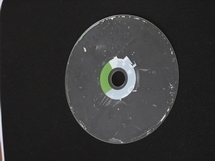 Fig.3: turning a CD into a diffraction grating. 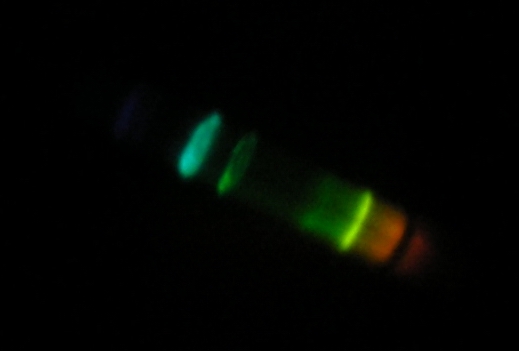 - “lux” version: a real diffraction grating can be bought somewhere. In Poland we buy them at Zamkor Publisher (www.zamkor.pl). You will need a grading of resolution of 500 lines/mm. 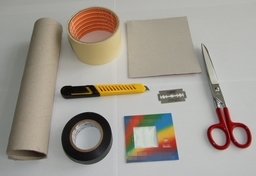 solid scissors, the best would be utility scissors, a sharp knife (e.g. a special knife for cutting paper), a pencil, a ruler. 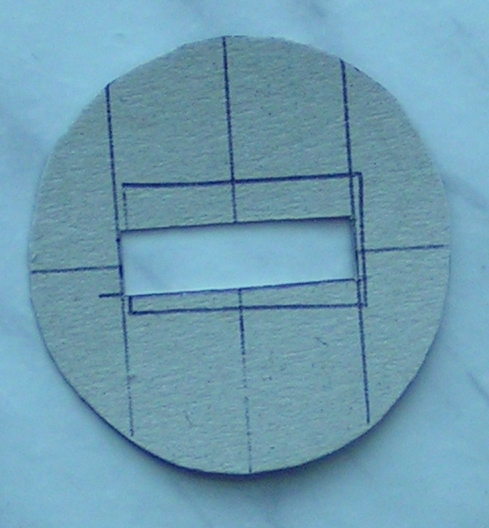 - basic version: we will need one more cardboard circle. We should cut it into halves with one move of scissors. It is also recommended to cut outer edges. 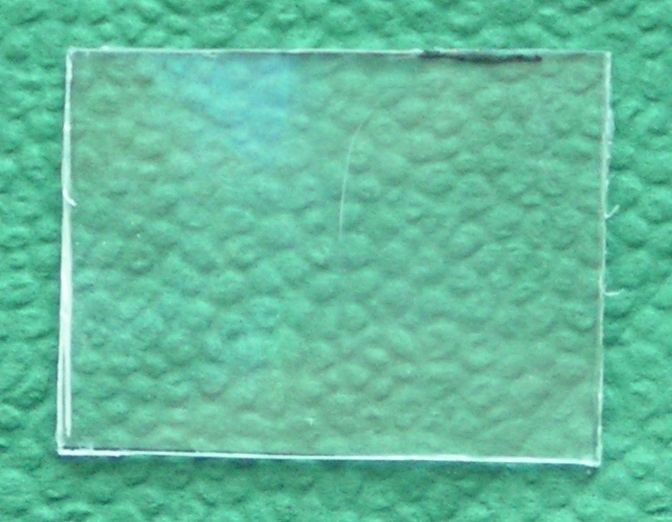 It will allow us to form a slit in a simpler and more precise way. It will be easier to stick it to the frame. 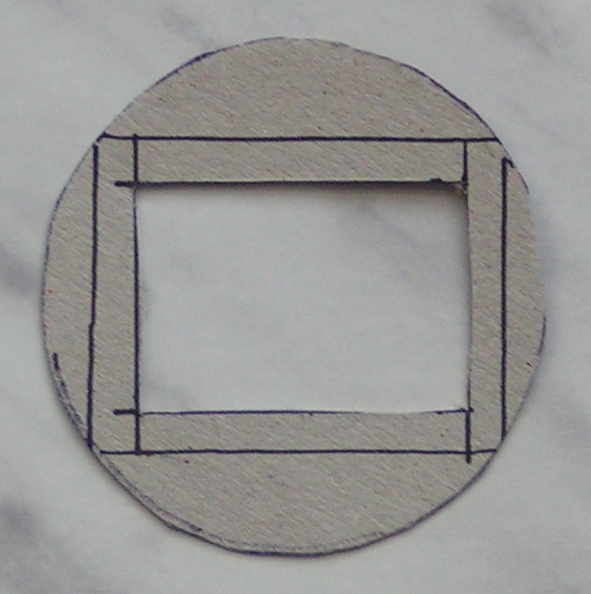 In the second circle we should cut a rectangular in the middle (not too wide, but it should have about 80% of the circle's length) and stick the both halves of the first circle to the other one in such a manner to form a narrow slit with parallel sides (two-side adhesive tape will be a great help here). 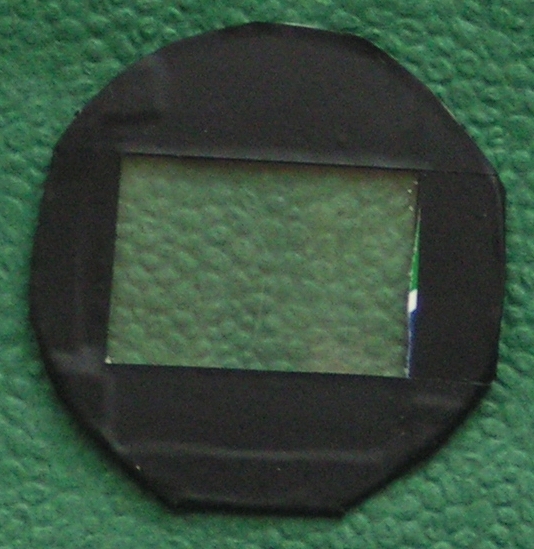 In my spectroscope a width of slit is a bit smaller than 1 mm, but feel free to experiment. 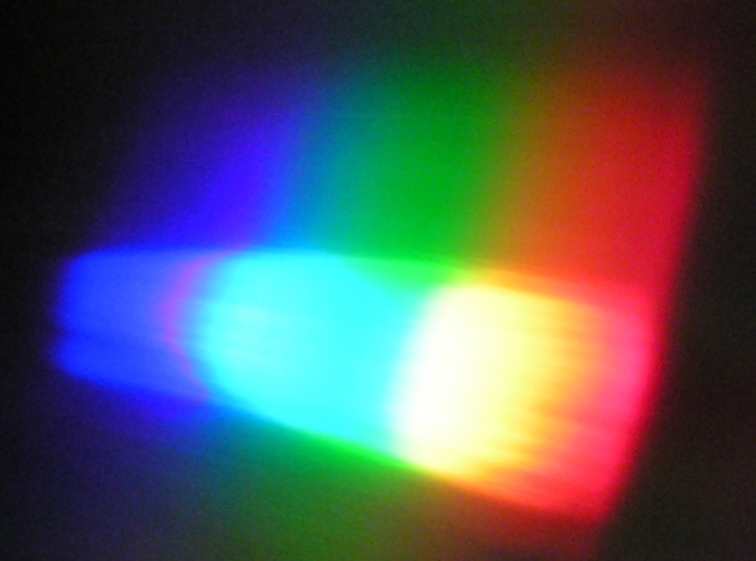 Narrower slits require stronger sources of light, whereas wide slits do not allow to observe solar spectrum. 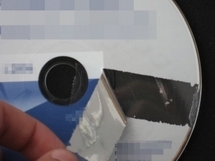 In the end we should carefully cover the lid with an opaque tape, so that it did not allow light except for slit. In the second cardboard lid we should cut with a knife a bigger rectangular hole. 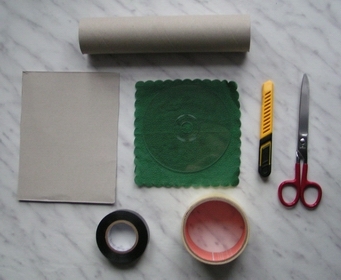 With scissors we shall cut out of a plastic disc a rectangular bigger than the hole, but smaller than the lid's area. It will work as our diffraction grading. We stick it to a circle with cut out hole in such a manner to make it completely cover the lid. 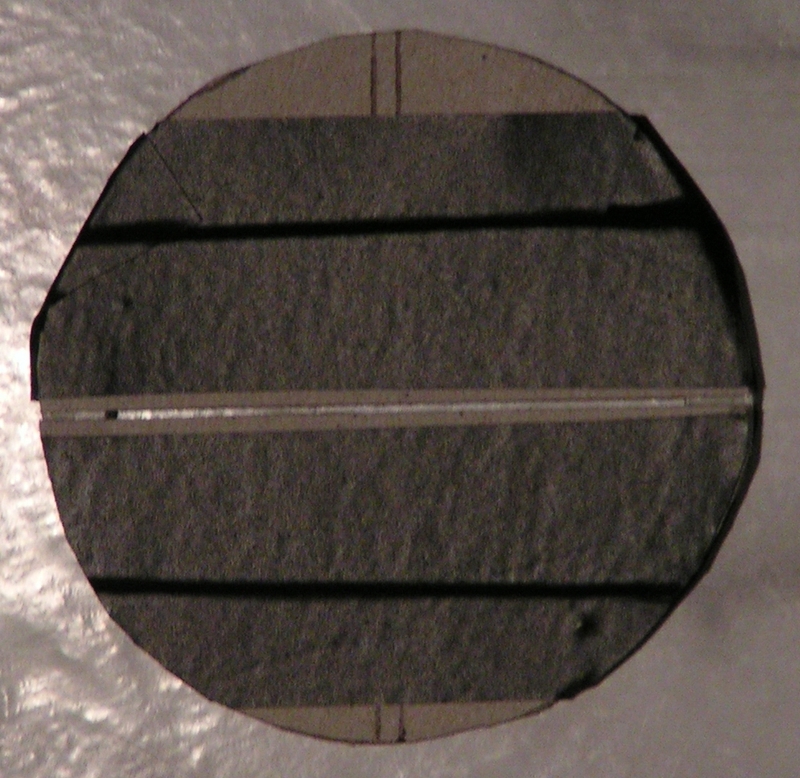 The final step, just like before, is to cover the diffraction grading with opaque tape, to make it impervious to sun, except for the rectangular in the middle. The execution time, after preparing all essential materials, does not exceed half an hour. Now we can watch various sources of light. 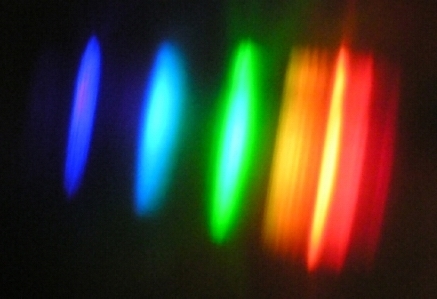 If the source of light is strong enough - we will see a second row of spectrum, and if, instead of naked eye, we will look through a camera (it would be ideal if both a spectrograph and a camera were on a tripod stand), our toy spectrograph will change into a real spectrograph and it will be possible to register various spectra on a plate or CCD matrix. If you act with due caution, you can also look at the Sun - due to the fact that spectrum is visible at certain angle from the source, so you never look directly at the source. Besides, we look through a narrow slit, which reduces amount of coming light. Be cautious - looking in direction of the Sun can always be dangerous to your eye! 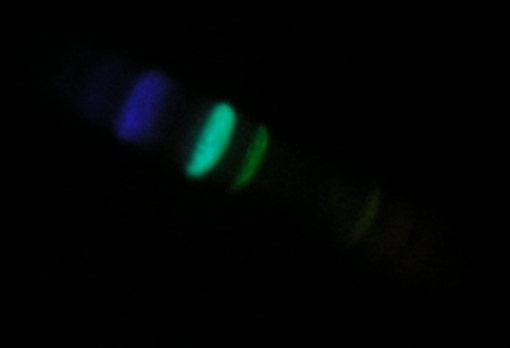 Fraunhofer lines are clearly visible in a lux-version of the spectroscope. 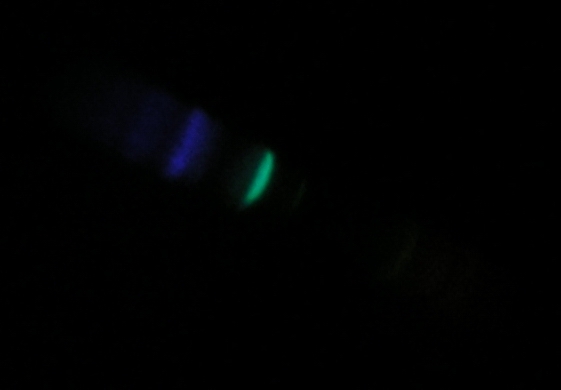 If you take precautions to prevent your spectroscope from burning, you can try to see spectrum of earth gas in a gas cooker, candle or a bonfire at a holiday trip.